Welcome to Angel Affirmations for August 2018 where WU World Changer Janette Stuart shares another 31 days worth of affirmations to help you shift from a negative to positive wellbeing. Can you afford not to? You will be astounded by the difference that reciting these angel affirmations will make in your life. My friend prints out the list of affirmations and looks at each one as she begins her day. Some prefer to do their affirmations as the day is winding down. 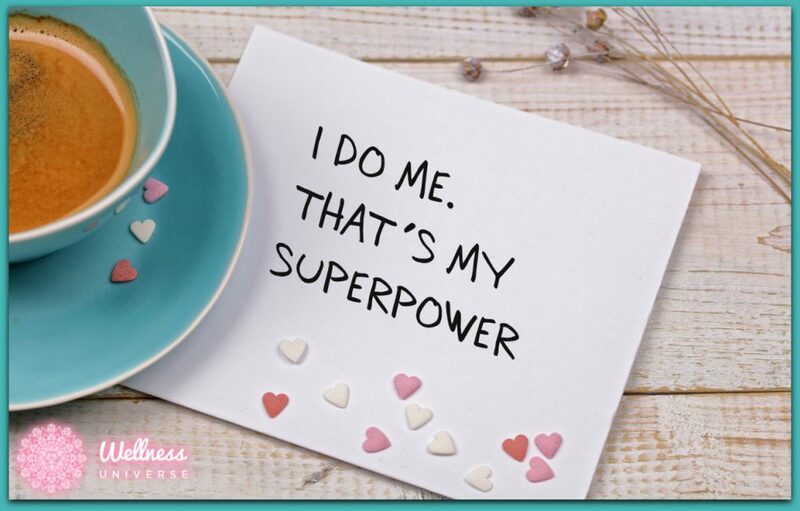 Any time and place is great to gift yourself the positive message of a daily affirmation. Your invitation is to embrace this exercise of reciting an affirmation each day during the month of August. You can shift those thoughts with more energizing and empowering statements such as “I am getting the rest I need. I am taking time to replenish myself. I am good with money. I am excited about….” These slight shifts have a positive, transformative effect on the quality of your day and your life. Please join me in reciting, reflecting and/or pondering the list of Angel Affirmations for August below. One angel affirmation for each day of the month of August. Today, I choose to focus upon the beauty which surrounds me at every turn. I am open to receive every act of goodness and grace with a heart full of gratitude. I am divinely loved, supported and protected every step of the way today. I am scheduling fun into my day today. Today, I am choosing to renew my body, mind, and spirit with a sense of wonder. I am reminded that all is well and, at my core, I radiate peace despite appearances to the contrary. Today, I am stepping more fully into my power and allowing love to guide my every thought, choice, and decision. Today, I am embracing and welcoming abundance in its many forms. I am choosing self-care as an important step in serving others. Today, I am opening my heart more fully and gifting my precious inner child quality time. Today, I savor the many ways I am divinely loved, supported and protected. Today, I rejoice and consider the powerful gift of my faith and inner knowing. I radiate joy as I focus on the things which delight my heart. I allow ease to guide my actions today. I remember I live in a universe of abundance where there is plenty for all, including me. I keep my eyes open to find the beauty in each situation today. Today, I choose to allow things to be easy, knowing I am divinely loved and supported each step of the way. Today, I seek fun in the sun, if only in my imagination. Today, I spend time in solitude and check in with the whispers of my soul. I know that all is well. I delight in the many forms of abundance I have manifested. There is plenty of every good thing I desire in my life, and I am able to receive it all with a heart full of gratitude and thanksgiving. I savor the beauty in my world today. I am a creative being, here for a specific purpose which delights my heart and makes my soul sing. I spend time doing something fun and joyful today. Today, I spend time in quiet reflection, allowing myself to daydream about my next steps. I move forward in trust, knowing the week ahead will be blessed. I allow myself to be a bit braver and stretch the parameters of my comfort zone. I allow my sense of childlike wonder to dance forth as I move through my day. I see myself and others through the eyes of love and compassion today. I know I am divinely loved, supported and protected as I move forward during my day. See you next month for my 30 Angel Affirmations for September 2018! If you are looking for additional divine guidance from the angels, I’d be delighted to assist you with an Angel Card Reading. I am a Certified Angel Card Reader™ with Dr. Doreen Virtue. One of my greatest joys is to help others connect more deeply with the divine forces which love them unconditionally. Find out more about the process on my website.